India is having vital place in world because of diverse reasons. India is the only country got freedom from British by Non-Violence. Bapu Mahatama Gandhi and our big freedom fighters fought for us and got freedom from British Government around 60+ years back. People from many cities and states of India participated in freedom fight. Patiala is the one city which got involved completely for liberty. This city is situated in Punjab’s south-eastern part. Patiala City is positioned near the fort Qila Mubarak. This castle was built by Baba Ala Singh the militiaman in 1763. Patiala is famous for customary turban, paranda, patiala salwar (ladies trouser), special type of footwear and a special measure of liquor (Patiala peg). Rakesh Sharma the first astronaut from India was born in city Patiala. 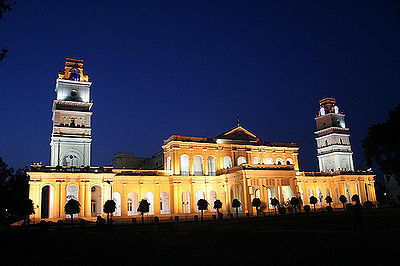 Tourist can check the historical values of Patiala at various search websites. 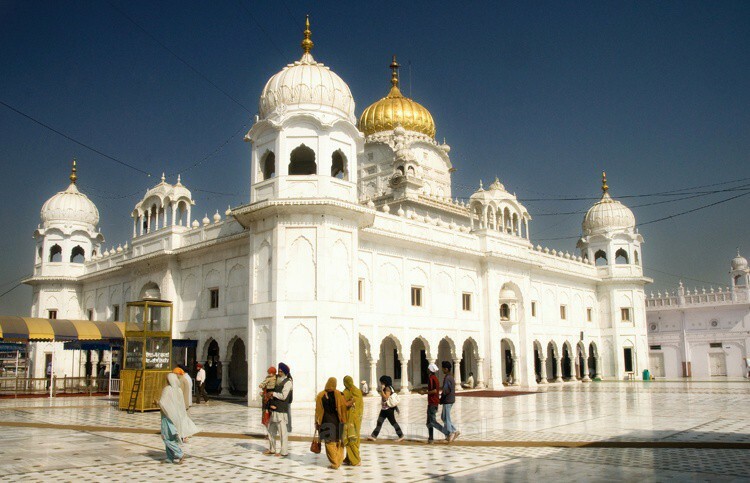 Countless tourist places of Patiala makes it special destination. 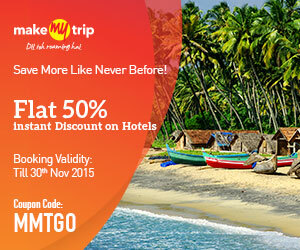 This Indian tourist place is having more than 7 tourist spots for visitors which can make the holidays special. The destinations are explained below with stunning images. Qila Mubarak Complex: This is the complex spread in 10 acre area containing major palace portion. Special spots in Qila are Ran Baas also known as guest house and Darbar Hall. Exterior part of the Qila is having Darshani Gate, the temple of Lord Shiva and some shops with special varieties for travelers. Precious adornments, multicolored hand-woven clothes, and shoes are special items available at the shops. 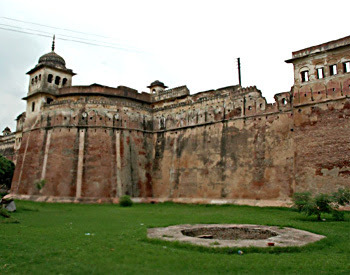 Qila Androon: next spot in Patiala for travelers is the imposing door and the Androon palace. 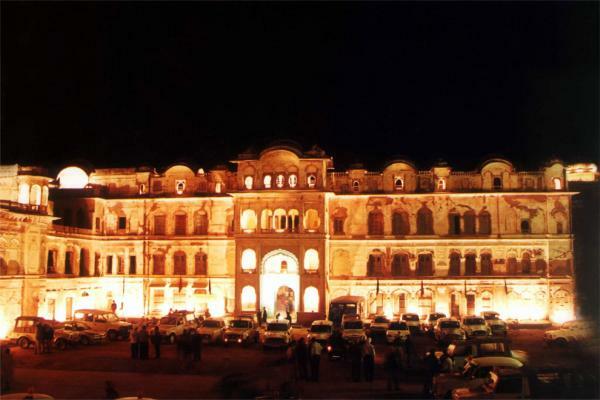 The structural design of palace is the mixture of Rajasthani and Mughal methods. The area is having 10 courtyards and every courtyard is designed with exclusive materials in stunning designs and characters. The 10 rooms of Androon are tinted with frescoes with mirror and gold paint. Fire spots are desgined with marble and toilets are made of Mughal Rajasthani pattern. 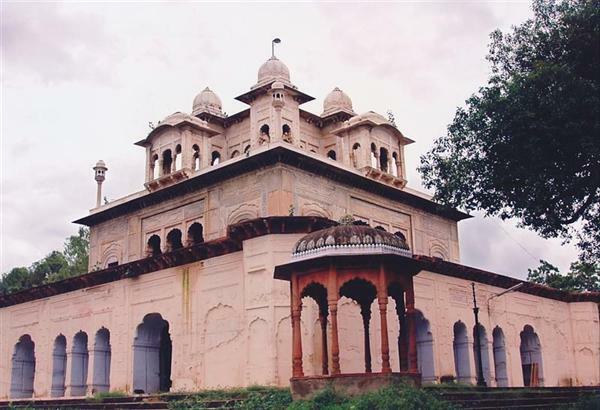 Rang Mahal and Sheesh Mahal: These two Mahal’s (palaces) of Patiala are containing wall painting made during the ruling period of Maharaja Narender Singh. Ladies compartment of Palace are decorated with famous idealistic romantic epics. Ran-Baas: The known guest house of Patiala is Ran-Baas. The fountains and small water tanks at the entrance are special thing to watch in Ran-Baas. The pavilions are also painted with stunning designs specially the upper storey. 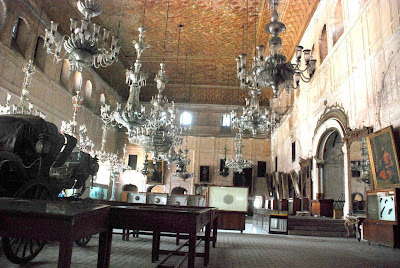 Darbar Hall: Darbar Hall also known as Divan Khana is location used for big audiences sitting. Particularly at the time of public occasions this area was used. Presently it is serving the city as museum showing stunning chandeliers and shields. The sword and knife of Punjabi Guru Shri Gobind Singh Ji and the rulers Nadir Shah's sword are two most demanding things of the museum. Delicately worked doors are still amazing in looks. Jalau Khana and Sard Khana: the two storey building known as Jalau Khana is having central hall displaying regalia. 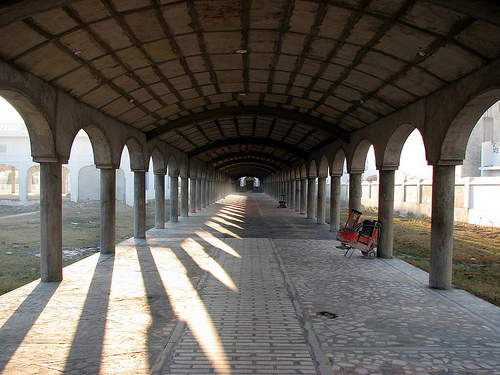 The other building is Sard Khan known as cool room offering shelter in summer season. The formal backyard with fountains and waterways are special for visitors in Jalau Khan and Sard Khan. Lassi Khana: the next spot to watch is the kitchen known as Lassi Khana. This small 2 storey structure with well is spot to view. The Ran-bass is closest point to the kitchen. Experts say the Lassi Khana had the ability to serve around 35000+ people in single day. Some other tourist destinations in Patiala are Shahi Samadhan, Moti Bagh Palace, Sheesh Mahal, Lachman Jhoola, Bir Moti Bagh, Mall Road, Rajindera Kothi, Baradari Gardens, Ijlas-e Khas, Gurudwara Dukhniwaran Sahib, Kali Temple, Qila Bahadurgarh, Panj Bali Gurdwara, and Maiji Di Sarai. Every spot is unique and having historical values so hiring the guide will assist the visitors about the past of the spot. Patiala is famous for having highest vehicles quantity per capita in India. The roads of Patiala are maintained properly and linked with Chandigarh, Amritsar, and Delhi. The national highway 64 is allowing visitors to reach Patiala from Zirakpur, Sangrur and Bhatinda where the NH-1 links the city with Delhi and Amritsar. Patiala airport is connected through domestic airlines and the rail network is also permitting travelers to reach the city easily from any corner of the country. Evaluating the road distance of Patiala from various cities of India allow visitors to reach the city easily. The distance to Patiala from Chandigarh is 67 km, Jalandhar is 155 km, Ludhiana is 93 km, Shimla is 173 km, Delhi is 233 km, Amritsar is 235 km, Agra is 437 km, Jaipur is 454 km, Srinagar is 614 km, Lucknow is 669 km, Mumbai is 1627 km and Kolkata is 1637 km.